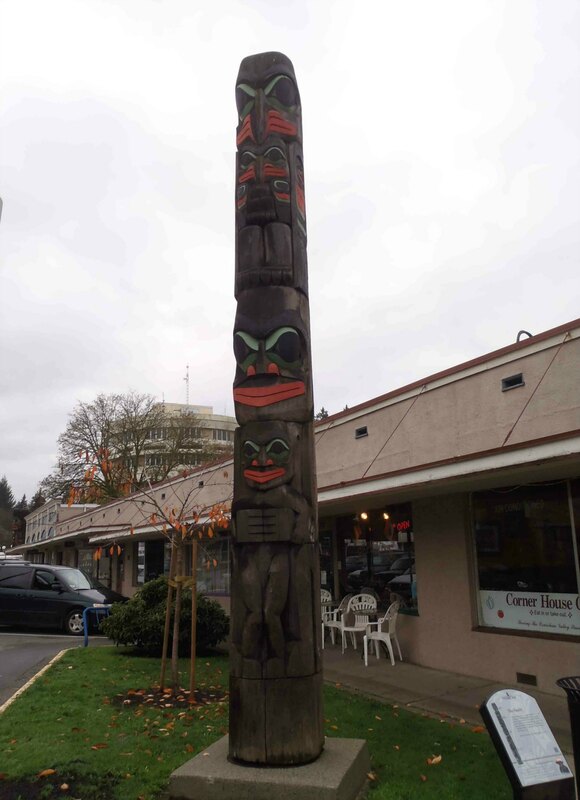 The Family pole was carved in 1993 by Francis Horne, Sr. It is 6.1m (20’2″) and stands at the intersection of Kenneth Street and Jubilee Street in downtown Duncan. The Family was commissioned in 1993 by the Painter and Gendemann families, who, at that time, owned businesses in downtown Duncan. 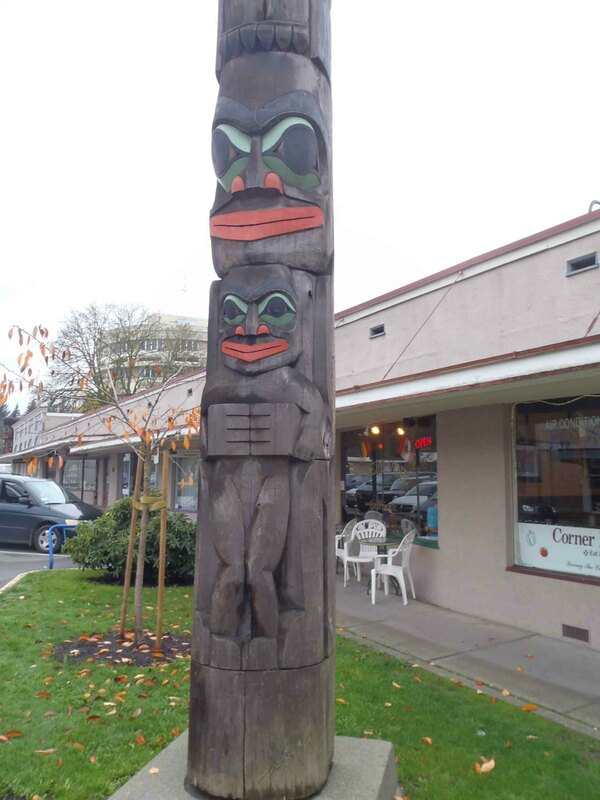 The Family totem pole, father and son figures, Kenneth Street at Jubilee Street, Duncan, B.C.